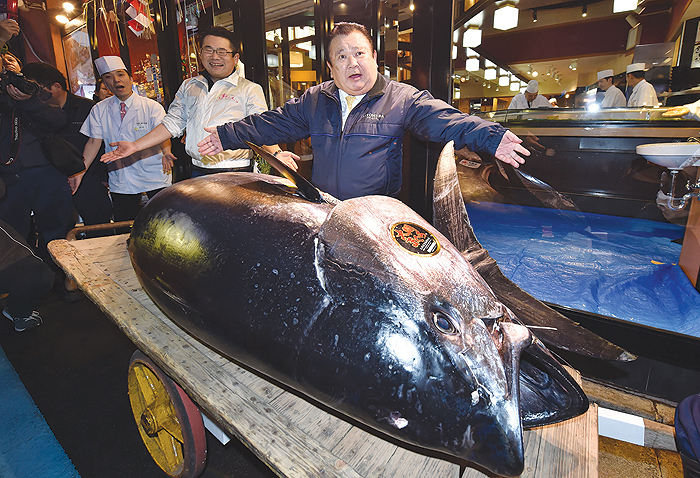 TOKYO: A Japanese sushi entrepreneur paid a record $3.1 million for a giant tuna yesterday as Tokyo’s new fish market, which replaced the world-famous Tsukiji late last year, held its first predawn New Year’s auction. Bidding stopped at a whopping 333.6 million yen for the enormous 278-kg fish – an endangered species – that was caught off Japan’s northern coast. 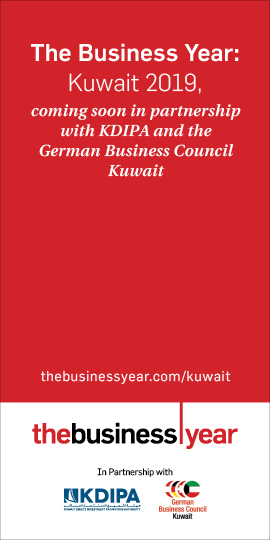 Self-styled “Tuna King” Kiyoshi Kimura paid the top price, which doubled the previous record of 155 million yen also paid by him in 2013. “It’s the best tuna. I was able to buy a delicious, super fresh tuna,” the sushi restaurant chain owner proudly told reporters. “The price was higher than originally thought, but I hope our customers will eat this excellent tuna,” Kimura said after the auction. Tsukiji – the world’s biggest fish market and a popular tourist attraction in an area packed with restaurants and shops – moved in October to Toyosu, a former gas plant a bit further east. Opened in 1935, Tsukiji was best known for its predawn daily auctions of tuna, caught from all corners of the world, for use by everyone from Michelin-star sushi chefs to ordinary grocery stores. Wholesalers and sushi tycoons have been known to pay eye-watering prices for the biggest and best fish, especially at the first auction of the new year. Despite the relocation, the auction ritual remained intact: Before dawn, buyers in rubber boots were inspecting the quality of the giant fresh and frozen tunas by examining the neatly cut tail end with flashlights and rubbing slices between their fingers. At 5:10 am, hand bells rang to signal the auction was underway and the air filled with the sound of auctioneers yelling prices at buyers, who raised fingers to indicate interest. Kimura went head to head with a rival in a thrilling back-and-forth for the prize tuna, with a scrum of spectators giving out a loud roar as the auctioneer’s hammer came down after Kimura’s winning offer. Later in the day sushi chefs sliced up the giant fish with special knives resembling Japanese swords at Kimura’s main restaurant just outside Tsukiji, where demolition work is under way. Hundreds of sushi lovers queued for a taste. “I have come here every year to eat New Year sushi but this tuna is tastier than ever,” Reiko Yamada, a 71-year-old housewife, told AFP. Japan consumes a large portion of the global bluefin catch, a highly prized sushi ingredient known as “kuro maguro” (black tuna) and dubbed the “black diamond” by sushi connoisseurs because of its scarcity. A single piece of “otoro”, or the fish’s fatty underbelly, can cost dozens of dollars at high-end Tokyo restaurants. The new market at Toyosu has already opened a balcony allowing visitors to witness the organized predawn chaos in an attempt to attract tourists who previously visited Tsukiji. “I sincerely hope this market will be loved by many people,” said Tokyo governor Yuriko Koike, who attended the sale, wearing the white rubber boots favored by auctioneers.